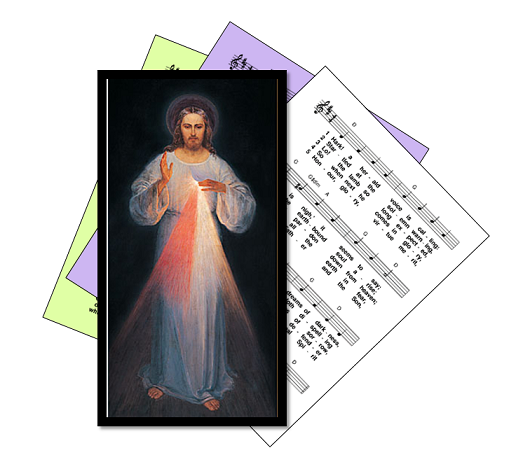 A selection of English-language hymns and song suggestions for use at events associated with Divine Mercy devotions. Most are free-to-use (ie public domain or copyright-free) meaning that the words can be copied and sung to at least one tune with no concerns about copyright or performance licensing - sometimes in a limited setting. Many of these hymns are old / traditional - but where possible a variety of styles and genres are included. A small selection of hymns which are still copyright, but are particularly suitable for the devotion, are also included. The hymn O Merciful Redeemer is particularly associated with devotions inspired by Sr Faustina's visions, in English-speaking countries. At this time, all musical settings of the Divine Mercy Chaplet are (potentially) copyright. Suggestions about hymns that could be included are welcome: leave a message in the Comments box below.